Mommies nowadays are very hands-on and love multitasking. You can just see how much they love and so eager to prioritize their children over their high paying full-time job. Luckily, there's an option to become a work-at-home mom (WAHM) and help her husband provide for the family. Aside from happily looking after their children, they even get to fulfill their passion and make money out of it. Want to become a WAHM but don't know how? 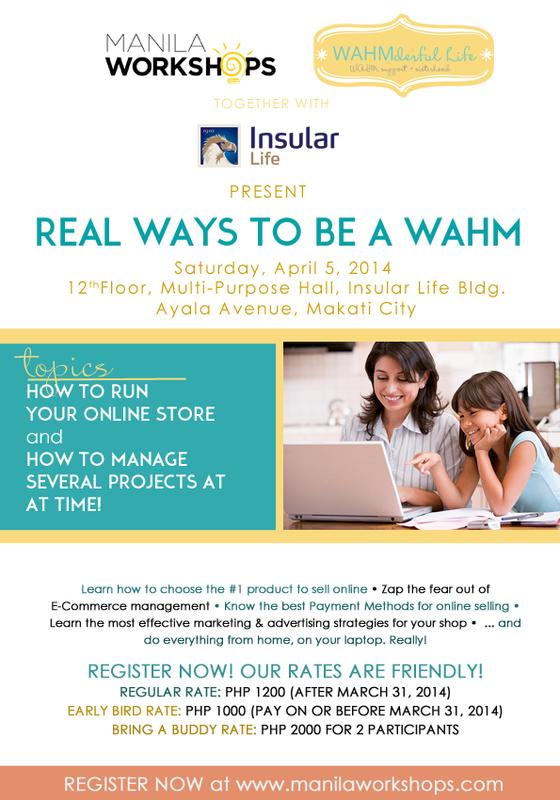 Fret no more because Manila Workshops, in their WAHMderful Life series of workshops, has come up two workshops this April to show us how to do it and how to start up our own home-based business. a WordPress superstar! She has set up tons of WordPress and membership sites for her Canadian employer. is also helping her Canadian employer to run his business by taking care of his other employees and freelancers from around the world. also an entrepreneur, she set up a small inbound and outbound call center for clients from New Mexico and Florida in 2005 to 2009. While running a call center at night, she operated an English school during the day. a master of trial error! From managing a small call center operation to getting people enrolled in her English school; acquiring a franchise in food business to operating a photobooth for local events in Manila. Though not all was profitable she thinks it was all worth the shot! can be found blogging about her food recipes and awesome food photography at joybites.com, and rants about daily life at joygurtiza.com. graduated with a Masteral of Arts in Communications Major in Integrated Marketing Communications. gained project management experience from being an account executive for two of the top Advertising Agencies in the country. also worked as a Managing Director for her family’s food franchise. Her longest work experience was with one of the top universal banks in the Philippines as a product manager. Now, she is a mompreneur involved in handling 4 different businesses: Manila Workshops (events management company), Kooky Loopy (baby clothing business), Steps Project (advocacy) and Memory Crafters (craft box subscription business). also a professional blogger for Manila Reviews and Mommy Ginger and also does Business Coaching on the side. 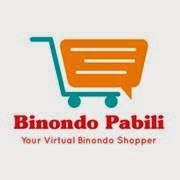 is currently the Chief Technology Officer for Wunderman Manila, an advertising company specializing in creating innovative technological marketing solutions for customers. has been in the IT industry for 13 years, with extensive experience in both Service Management and Project Management. Before Wunderman, EJ was a Service Delivery Manager in Hewlett-Packard Asia Pac Ltd, primarily working on SAP. Both workshops seem so exciting! Can't wait to attend and learn from the experts in WAHMderhood! 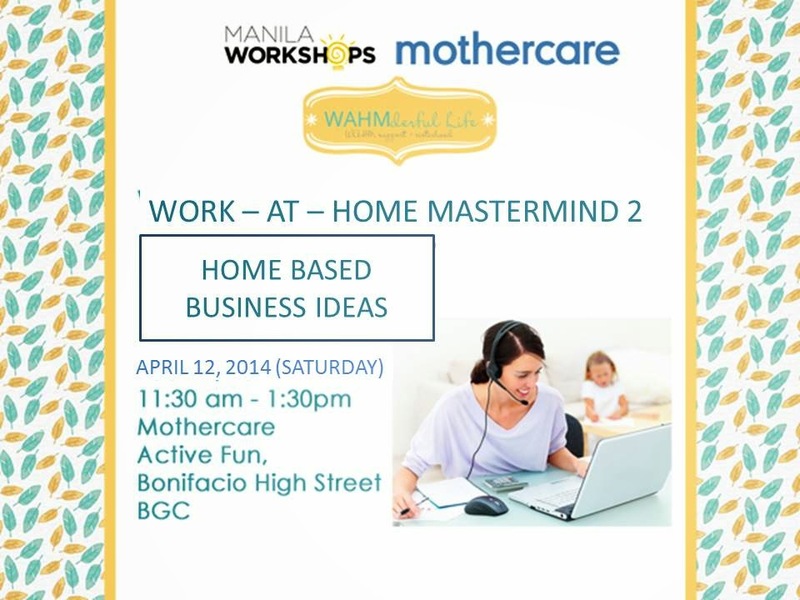 Thank you Manila Workshops for making these practical knowledge so accessible to us modern and proactive moms.